If you’re looking for a real role model and Superhero to dress up as on Halloween, might we point you in the direction of RMRG Skater of the Month, Sylvia’s Wrath. 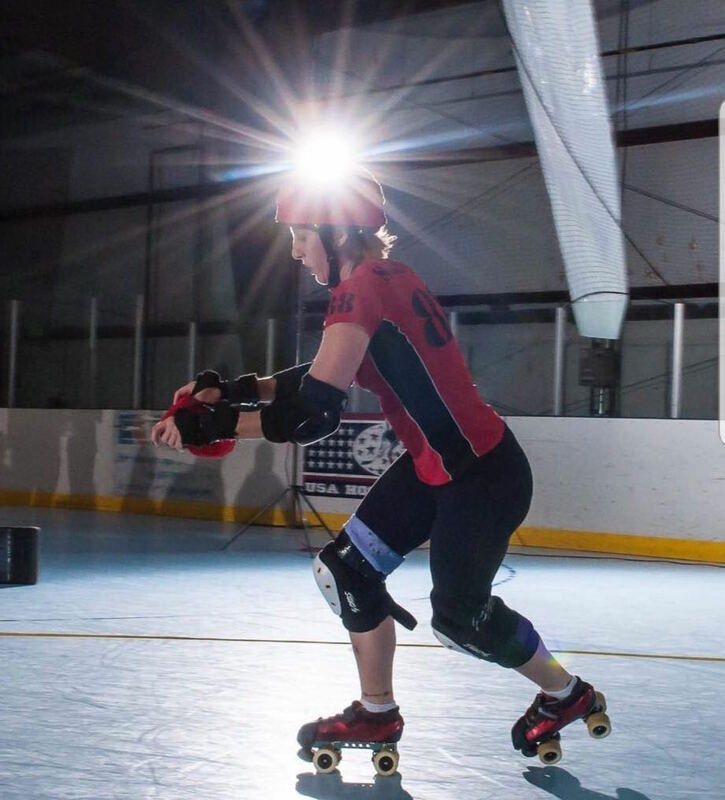 Sylvie was nominated for October Skater of the Month after wrestling the 2018 RMRG/DRD September Shenanigans Fundraiser Bout into order, but that is just the tip of her achievements and hard work for the league. Starting her derby career in 2012 with the Wreckin’ Roller Rebels, she transferred to Rocky in 2013, and was immediately drafted to the Sugar Kill Gang where she fit right in with the Sugar’s rambunctious style of fun. 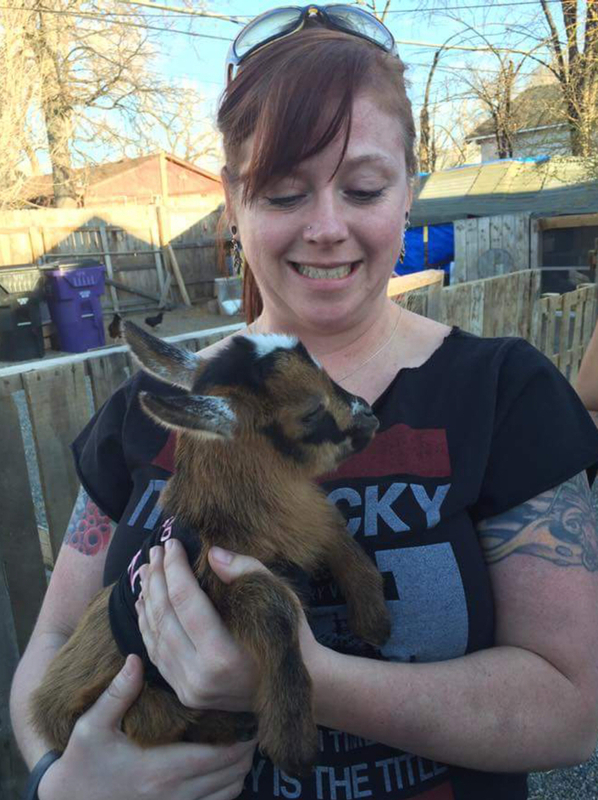 She began serving as an RMRG ambassador to new skaters and became our insurance coordinator, and in 2018 became the head of the NeRD committee. A supportive and intimidating skater (read “will literally block your socks off”), she plays with both the Contenders and 5280 Fight Club. Sylvie spreads this athletic ability around by also coaching the floor hockey team at her school and spending the winter off season tearing up the Colorado slopes on her snowboard. In her spare time when she isn’t teaching, derbying, or bending steel girders with her hands, Sylvie enjoys finding quiet places to observe nature. She’s an all-around animal lover, friend to dogs and cats and has recently become a muskrat viewing aficionado after discovering a family of them living near her home on the Platte during one of her walks. With her immense dedication to the sport, loyalty to her people, her investments to her community and brassy jocularity, Sylvie is already our hero. Now get ahead of the curve and get your Sylvia’s Wrath Costume this Halloween and make her yours too! (Sylvia’s Wrath Costume comes complete with an auburn A-line wig, yoga pants and voice synthesizer to make all your “Trick or Treats,” come out in Sylvie’s signature throaty timbre. Steely gaze sold separately).